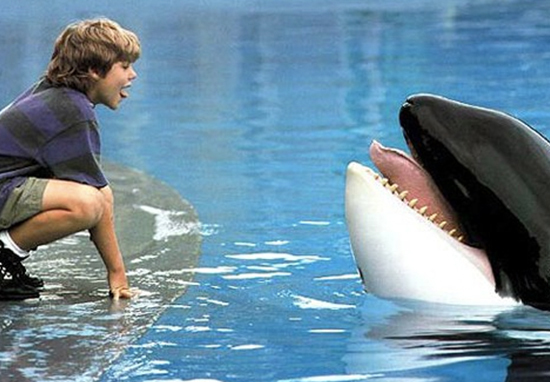 Jason James Richter, who played Jesse in family friendly classic Free Willy, has been arrested. The former child star, now 38 years old, was arrested on Monday October 15 in San Fernando Valley, California for misdemeanour domestic violence. A source told TMZ how Richter had an argument with his girlfriend at their home at approximately 7pm. Law enforcement sources alleged Richter questioned his girlfriend about a coworker, asking whether they were having an affair. The argument escalated and Richter left the home. However, he returned to the property a short while later. The girlfriend told officer how she had locked herself in the bedroom. Richter allegedly broke down the door to enter the bedroom, before pulling her into the living room. The girlfriend arrived at the police station four hours after the incident to file a report, making a claim of domestic violence. As reported by TMZ, Richter has been charged with one count of vandalism and another count of battery on a significant other with no physical injury. If Richter is found to be guilty, he could serve up to a one year prison sentence. If you’ve been affected by any of these issues, and want to speak to someone in confidence contact the 24-hour National Domestic Violence Helpline on 0808 2000 247. Do not suffer in silence.